You can choose to self-park undercover or outdoors and take your keys. Convenient long term parking with fast shuttles 24/7 and just 7 mins from Melbourne Airport. Enjoy award winning customer service with valet parking and car washing. Relax with 24/7 manned and monitored undercover and outdoor airport parking. Earn ACE loyalty rewards points when you book, park and get your car washed. Corporate accounts offer easy booking, competitive rates and itemised statements. THE #1 CHOICE FOR AIRPORT PARKING. 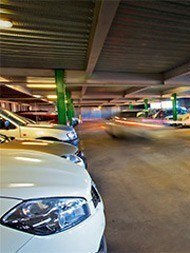 Long Term + Short Term Self Park Melbourne Airport Car Parking is so convenient at Ace Airport Parking. That’s Ace! 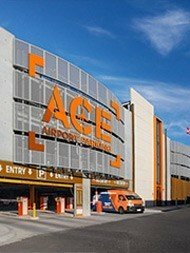 If you’re looking for convenient, affordable Melbourne airport parking, look no further than Ace Airport Parking. Conveniently located on South Centre Road, Tullamarine, on the site of the former Jetport Self Park, Ace Airport Parking’s car park is a mere seven minutes from both Melbourne Airport and Essendon Airport. 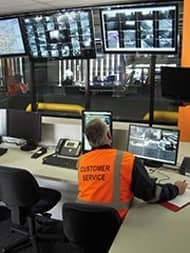 Our security-monitored car park site is open 24/7, with fast shuttles available for drop-off and pick-up at your convenience. 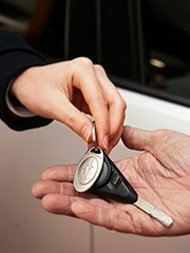 You have the choice of self-parking or using our award winning customer service valet parking. You can even have your car cleaned or serviced for your return! So for the best Melbourne airport parking in town, check out Ace Airport Parking. With competitive corporate rates, loyalty reward points and superior service, you can start your holiday seven minutes earlier with Ace Airport Parking!